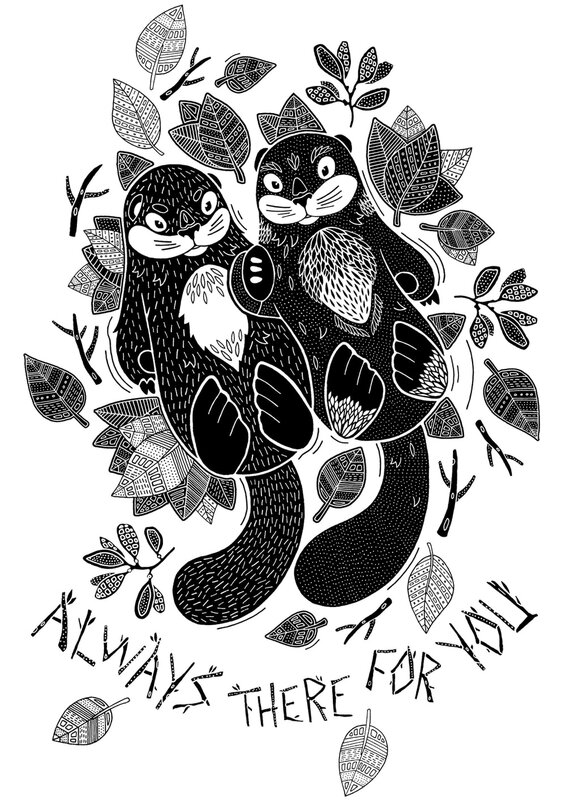 T-shirt design commissioned by charity supporter Lovelin, in partnership with The Scottish Association for Mental Health. As part of this project I was tasked with producing a t-shirt design to represent the tagline 'Always There for You'. £5 from the sale of each t-shirt would go towards SAMH, furthering the fantastic work that they do. In response to this task I developed the featured design. Otters are known to hold each others hands to ensure that they do not get lost at sea. I thought this simple imagery acted as an interesting analogy for the work done by SAMH. At it's core, they provide a system of support to help those who do feel lost, both emotionally and mentally. Hand holding is one of the most primitive ways to show support for someone and is a powerful tool when helping those in turmoil. By using animal imagery to convey this idea, I believe it created a subtle, yet powerful message that had broad appeal amongst both animal lovers and charity supporters alike.